For more an introduction on what project-based learning is, make sure to check out this article on Buck Institute for Education. 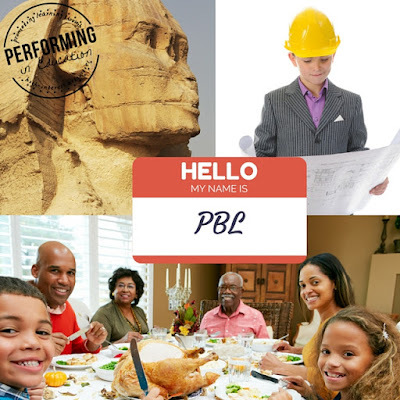 If you’ve already been introduced to PBL, read on for four ideas for your classroom. Several years back I started my first project-based learning (PBL) activity with a rough group of fifth graders. Since then I’ve learned a lot about the process. One of the most common questions I get about PBL is "How do I choose a topic to plan it around?" The best topics are the ones that come to you when talking with your students. My students have inspired every single one of my PBLs. As you're teaching this week, stop to reflect on PBL topics when you're conversing with students. I've found that the following three categories are easy to find connections. Look for problems or areas of excitement in your community. Work with your students to develop a driving question related to one of these community topics and use math, science, and language arts skills to answer this question. The student role is to come up with the question and your role is to connect the standards. One of the elements of PBL is “sustained inquiry”, which means you’ll be coming back to this project in different subject areas while teaching many standards within it. The best projects are ones that students can relate to. Make a connection to the things they do (or see others doing) at home. Every year we do a Thanksgiving project-based learning activity where I bring in grocery store ads and they plan a Thanksgiving dinner. It encourages students to get more involved in the grocery shopping and meal preparation at home, and it shows them how important Math is in real life. My favorite project-based learning projects include building a business from the ground up. We’ve built lemonade stands, candy stores, and restaurants. A lot of math is involved with creating a business; I have fourth graders that can explain to you profit and loss while creating a well-organized floor plan for your business. If it’s real life, it will make a great project-based learning activity. 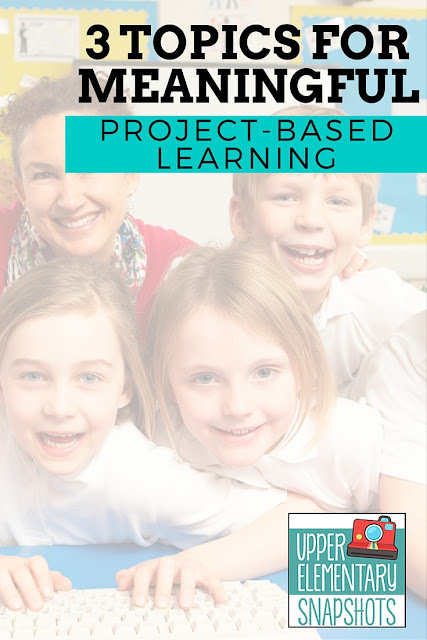 I hope some of these ideas will help you create some fantastic PBL opportunities in your classroom! 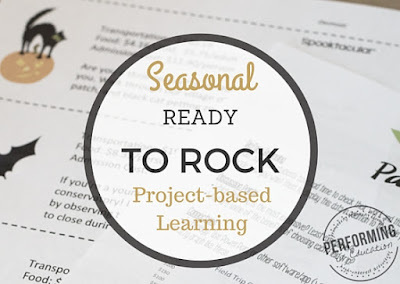 Try out some of my seasonal PBLs this year!